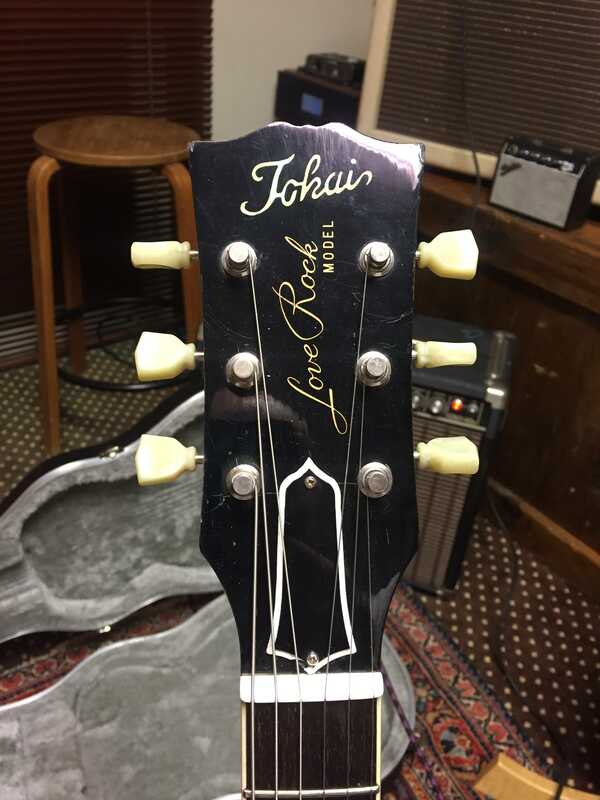 Tokai Forum - a subsidiary of TokaiRegistry.com :: View topic - What model Love Rock is this? What model Love Rock is this? Posted: Tue Mar 13, 2018 11:36 pm Post subject: What model Love Rock is this? Hello. First time poster. I recently found and bought what I believe is a 1985 Love Rock. Serial number is 5025284. As you can see in the pictures it has the dimple. The bridge and tailpiece have been upgraded to gotoh. It still has the circuit board. Veneer flame top, but it the maple underneath is flatsawn and from what I can see is one piece. The back is a three piece and the neck is a one piece. Amazing neck. 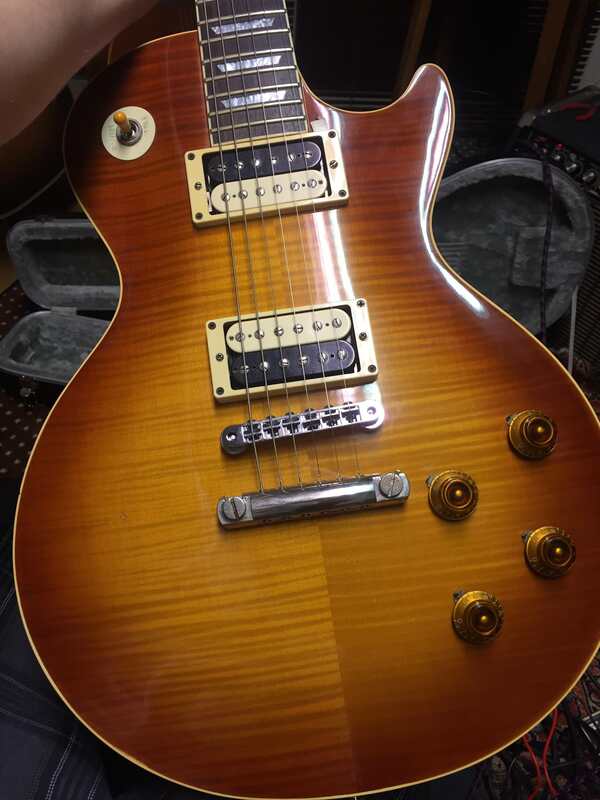 While I have played to many Les Paul's, this one makes music, no need to coax any tone out of it, it does it on its own. So is it an ALS-60? weighs in at 8lbs 7 ounces and has my personal favorite brown sunburst. It looks to have had a neck repair too, but considering the price I paid, it was quite easy to look past the repair. I've scoured through online colors and researched it, but the three piece back and the maple cap are throwing me for a loop. Thanks for the help. My fingers are on the seams. Yes it could be an als, but it also could be a LS. Also, the post 2000 models tend to have very conventional trussrod covers, this one has a styled form form. I just checked the old catalogue and found this form of Trussrod cover on 1985 Ls's and ALS's... we understand each other, there are other years around of that that used the same type of trussrod cover. The veneer top and the unbrainded PU cable gives also a clue in direction of a basic version. I'm curious too of what it could be in the end. Not sure what the model number is myself but couldn't the top be a 3 (+) piece under the veneer ?? Probably more likely than a one piece top, anything is possible though. Nice axe nonetheless. "85 was a transitional year with specs being all over the map. OK so go to the American Stevie Ray catalog to find this guitar. 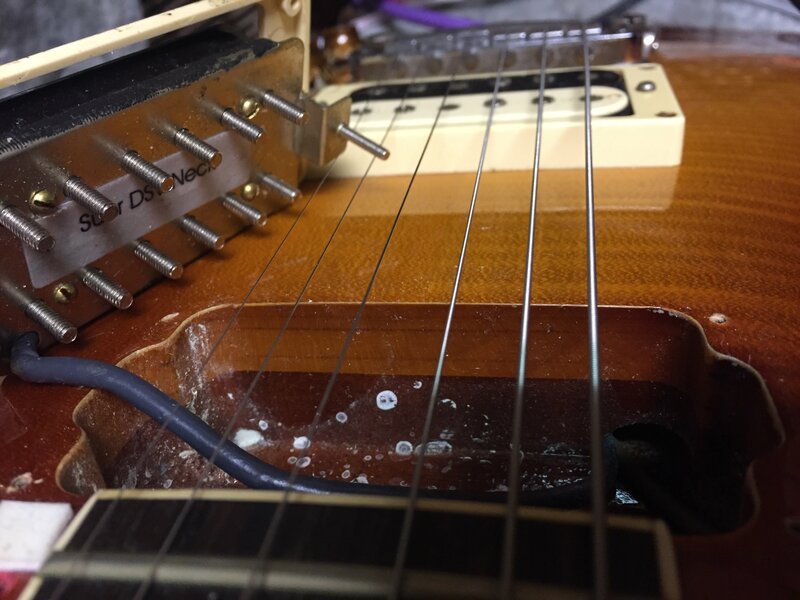 In 1985 in order to sell into the U.S. market, Tokai had to alter the headstocks slightly to avoid copyright infringements from both Fender and Gibson. Original poster says the hardware was upgraded. Are the pickups original? Can we see shots of the pickup control cavity? Is the finish poly or nitro? 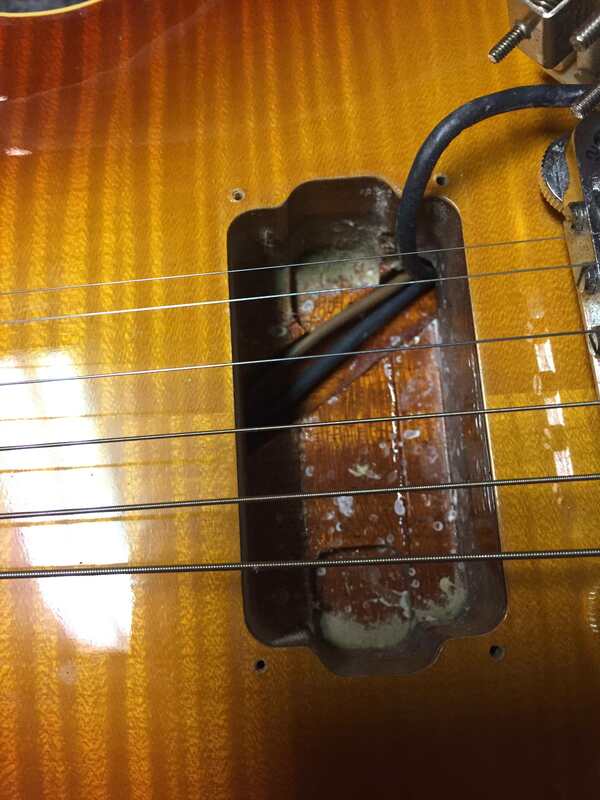 Use a little acetone in one of the pickup cavities to see if it removes any finish. Original poster says the hardware was upgraded. 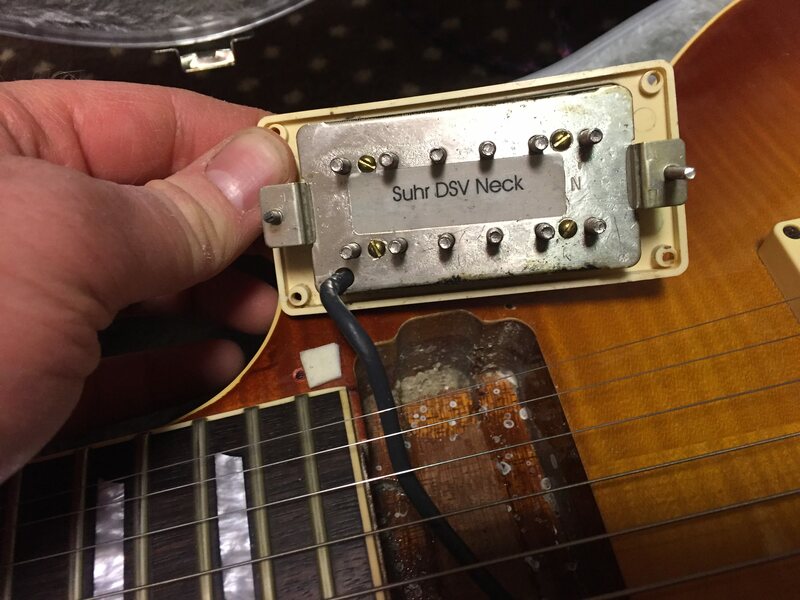 Are the pickups original? Can we see shots of the pickup control cavity? It's most probably a lower model run, still a great guitar if it can be had for a reasonable amount of change. These are the only pics I have at the moment. I'm not home where the guitar is. The pickups are Suhr's, which I pulled out and sold to a buddy. It currently has some late 90's Seymour Duncan 59's in it. It is a phenomenal sounding guitar. 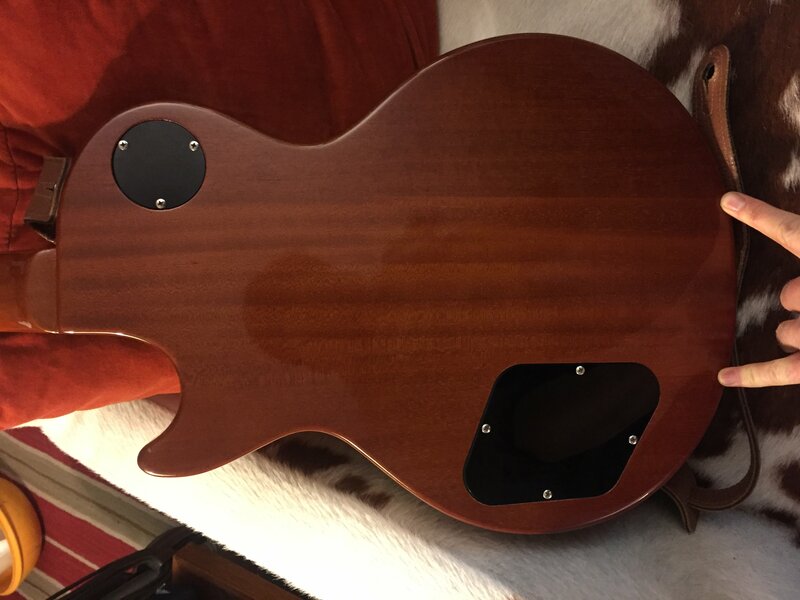 I love the neck and at 8lbs 10oz it feels great. I paid $300 for it and sold the pickups for $100, so I'm doing fine no matter why model it is. I think it is a 60 personally. I haven't tried acetone on it yet. I'd say you did well.